Tickets: $5; children under 6 and under – FREE! HUUC’s “City of the Dead” has come of age as an annual event in Muskegon! 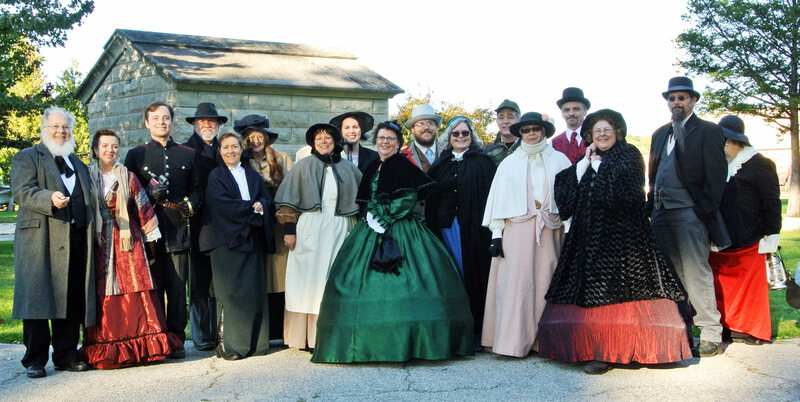 Nearly 300 people converge on Evergreen Cemetery to spend about an hour touring the cemetery, listening to historically rich monologues performed by HUUC members and friends dressed in period costume. Throughout the early evening, nearly 20 actors portray figures from Muskegon’s past buried in the cemetery while tour guides escorted groups from gravesite to gravesite. The past success of the event demonstrates what can happen when a community comes together to share in a common endeavor. We are all indebted to HUUC member Anna EldenBrady, the creative force behind City of the Dead, for organizing and assembling such a capable cast to represent our talents to the community at large. Congratulations to her and to the entire cast and crew!